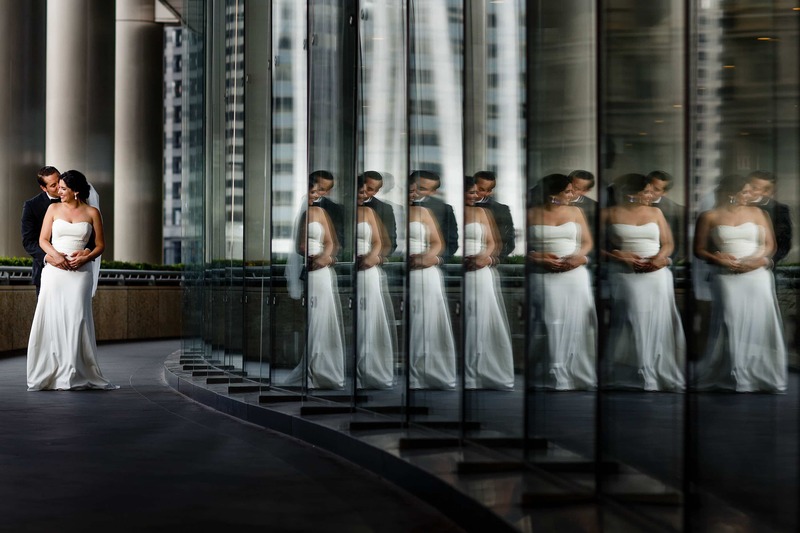 what is a real wedding photojournalist? Photojournalists are news photographers. Working for news organizations like newspapers, wire services or magazines, a photojournalist’s job is to document history and truth through storytelling. 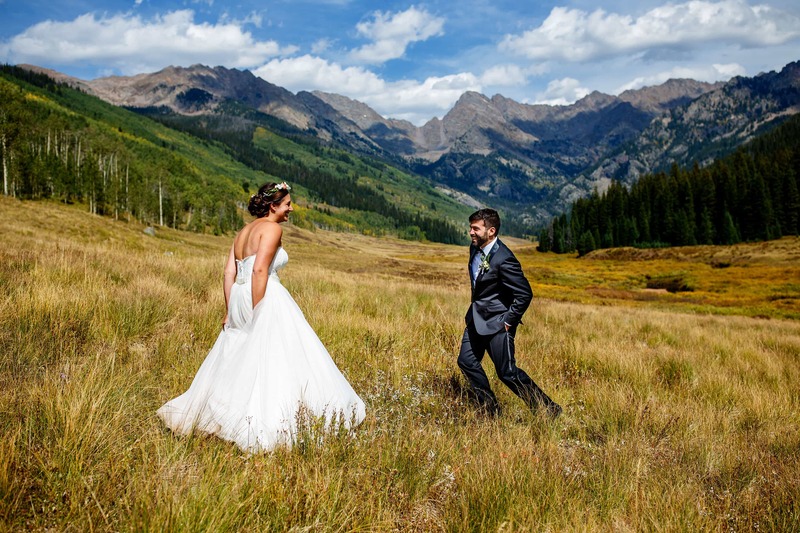 Some wedding photographers have seen the marketing benefit of labeling themselves as a photojournalist to describe their focus on candid photos. However, a true photojournalist has years of experience and a documentary style that is unmatched and invaluable on a wedding day. Bringing those experiences to your wedding means that they will be ready to capture all of the day’s moments, large or small. I started my career in 2007 working for clients like The New York Times, Sports Illustrated, Getty Images and The Denver Post, to name a few. Photojournalism isn’t a style for me, it’s what I do. I’ve been trained to put myself and the camera where it needs to be so the images have impact. I care so much about it that I only work with second photographers who have the same approach. We focus on documenting your day through moment driven photographs to tell the entire story of the day. We want the images to tell those who weren’t able to attend the wedding what happened while also showing those who were present something that they didn’t already see. Why is this important, you ask, because you will undoubtedly cherish these moments long after your wedding day more than any staged photo. Our goal is simple, we are there to tell the complete story of your wedding day. I promise you, the day will fly by and you’ll want to look back and remember it all. When I have covered assignments during my career, often the most storytelling images happen either before or after the main event. “Get there early, and stay late” is one of the first rules of photojournalism. 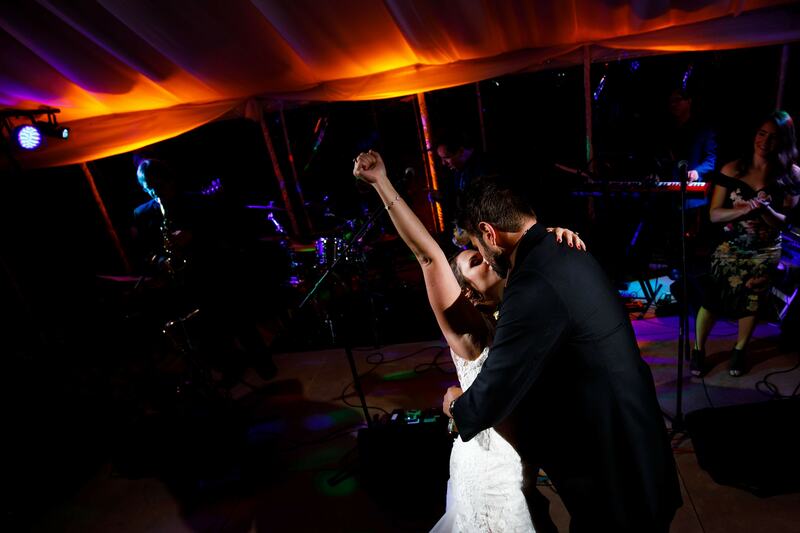 As a wedding photojournalist that means we’ll arrive when you start getting ready and stay deep into the dance party. Being there all day is such a part of my phillosophy that all of my collections include 10 hours of coverage. I can only shoot one wedding a day so I don’t understand the concept of charging based on an hourly rate. I’m always excited to deliver a collection of images from a wedding day that tell a story. Digital images are essential to our lives but the best way to showcase this type of work is in a gorgeous coffee table book for my couples. Access is the most important aspect to creating great photos because years of experience, great light and the best gear are worth nothing if people don’t feel comfortable having you in the room. As a photojournalist, we have had to photograph complete strangers on possibly the worst day of their life and then walk up to them to get their name and other information to tell their story. It is a tough thing to do and often that skill is developed over years of experience on assignment. 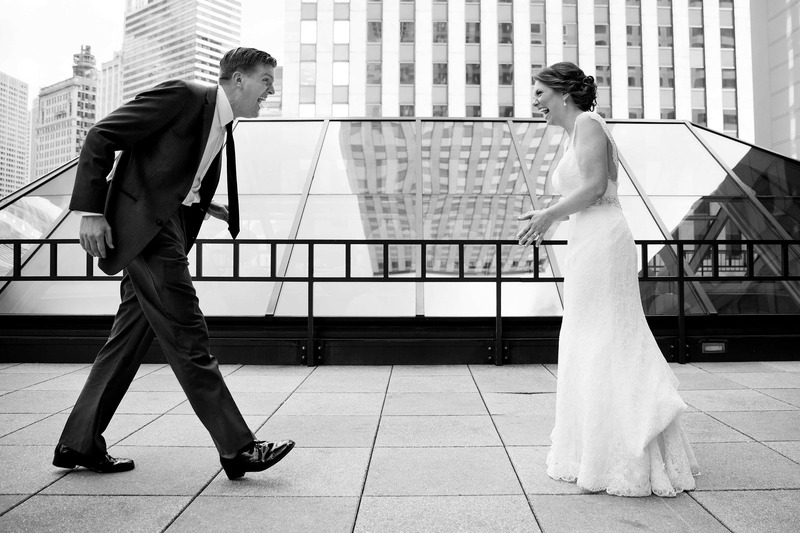 On a wedding day, creating that rapport is more than being friendly and making small talk. Trust doesn’t just happen so I start that process long before the wedding day. I communicate with my couples from the very beginning and work to remain a valuble resource during their planning. I get to know couples during engagement sessions and often attend rehearsals so that I’m a familiar face to everyone when I walk in the room on the wedding day. My goal is to become part of your group for the day. As everyone feels comfortable with my presance, moments will naturally unfold and I’ll be there to capture it all. As a photojournalist, I’m used to approaching and photographing complete strangers. While everyone is happy to have me there on a wedding day, getting close to the subject is essential to provide dynamic storytelling. I want my images to feel like you’re part of the moment, not looking at it from afar. 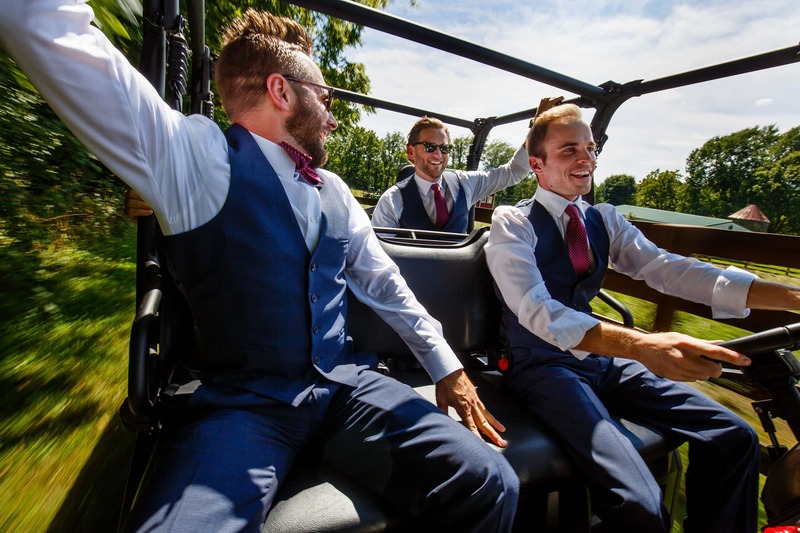 Sometimes that means putting a remote camera in an unusual place like the frame of an ATV or in the rafters where we can’t physically stand during a ceremony. You’ll often find us lying completely on the ground or climbing the side of a mountain for the perfect angle. As a photojournalist, I’ve photographed all kinds of difficult assignments. Each event presents different challenges, competition from other publications and stringent deadlines. We simply can’t come back without great images because as photo editors like to say, “we can’t publish excuses.” We have the experience and equiptment to adapt to any situation and create storytelling pictures. 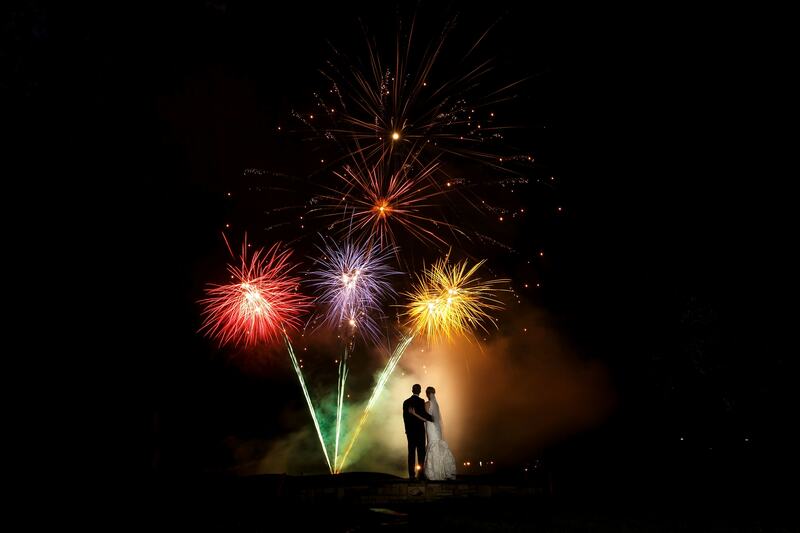 No matter what crazy things happen on a wedding day, we’ll be prepared to make the most of it. If it rains, we’ll know of a place we can go. We can, and have made portfolio pictures in covered hotel walkways (see image below). You can relax and enjoy your day knowing that we can solve the challenges that any venue or location throws at us, even if we haven’t shot there before. After all, you want someone who can create unique images for you on your wedding day no matter the environment, not just someone who can recreate images they have already shot for other couples. Your wedding is unique and the images should reflect that. I often have couples tell me they enjoyed my work because it featured moments as opposed to a portfolio of jewlery and perfectly arranged invitation suites. I absolutely still photograph details because those things can be storytelling as well. We crave moments and that naturally defines our work. Documenting the spectrum of emotions on the wedding day – the laughter, the joy and even the tears is what we’re passionate about. 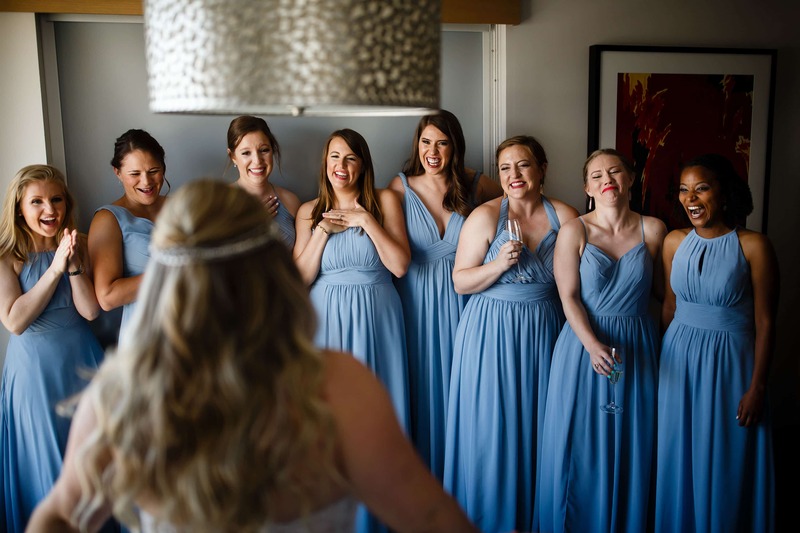 At the end of the day, we believe that a photo of your closest friends reaction to seeing you in your gown for the first time will be cherished more than a photo of the dress hanging on the wall. In the age of Instagram filters, we believe that images should represent accuracy for history’s sake. News outlets strive to present reality to its readers. As a photojournalist on assignment, we’re bound by ethical standards and can’t manipulate images beyond cropping and limited toning. While weddings allow me to have more creative freedom with the images that I deliver, I still believe that colors should be vivid and true to life. I don’t use filters to create images that are “light and airy,” “dark and moody,” or uniformly orange. If the sky is blue in real life, it will be blue in our photos. Although my main focus is weddings these days, I still regularly shoot sports, news, portraits or stories for editorial clients. While lots of photographers are fortunate enough to have published work, being given assignments from editors at local, national or international agencies means that those editors trust me to come back with compelling imagery for their publication, on deadline. Top editors have their pick of the best photojournalists in the industry and if they trust us then chances are you can too.